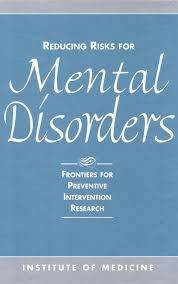 Psychiatric Illness research papers discuss how mental disorders manifest in a person's inability to function normally. Psychiatric Illness is one of many research paper topics that Paper Masters provides. Use this topic suggestion as a guide on how to write a paper or order your own custom research paper. The term “psychiatric illness” is another name given to a host of diagnoses collectively known as mental disorders. This manifests in a person’s inability to behave or function normally within the boundaries of society; it can be a physical display of inappropriate behaviors or it can be intrinsic and emotional imbalances that impact a person’s ability to function. The nature and type of mental disorders has changed dramatically as time has passed; diagnoses that were once considered mental disorders, such as homosexuality, are no longer seen as such. As time passes, such changes will continue to be made, reflecting our increased understanding of this component of mental health and human behavior. There are several different ways to classify mental disorders. The most common diagnostic tool is the Diagnostic and Statistical Manual of Mental Disorders, broken down into five different axes, or classifications. The first includes clinical disorders, learning disorders, and disorders related to substance abuse. The second includes personality disorders and intellectual disabilities. The third focuses on more physical symptoms, and includes those disorders that manifest in the physical and medical realm. The fourth axis specifies psychosocial and environmental components that are related to various disorders. The fifth focuses on the various mental disorders that can emerge in those under the age of 18. Fully understanding each and every one of these disorders is impossible, due to their increasing complexity and the rapidity with which they change. In the public consciousness, images of psychiatry include couches, frowning therapists, and Freudian interpretation. Today, however, psychology is turning away from therapy as the primary treatment for psychiatric disorders. Repeated failures in the use of psychoanalysis as the sole treatment for disorders like bipolar illness coupled with breakthroughs in medical treatments have caused psychiatrists to look toward science for answers. Begin by showing the connection between brain chemistry and behavior. Next, the scientific method used in the medical model of psychiatric treatment will be used to demonstrate the validity of scientific assessment in psychiatric illnesses. Finally, the role of psychotherapy’s use to treat the symptoms of psychiatric disorders will be discussed. Schizophrenic Disorders research papers probe the psychological disorder that is far more severe than many mood disorders. Intervention for Schizophrenia Research Papers look at a sample of an order placed for a project that requires the use of the themes of School of Social Work which are Advocacy, Empowerment, and Transformation. Paranoid Schizophrenia is a subtype of the mental disorder schizophrenia found in the DSM-IV. Assessment Instruments of OCD research papers can be written from the nursing perspective or from the medical health research point of view. Treating OCD research papers overview treatment plans for patients with obsessive compulsive disorder. Anxiety Neurosis research papers examine the type of neurotic disorder that is represented by extreme states of distress and agitation. Treatment for Generalized Anxiety Disorder Research Papers deal with the different therapies used in the treatments for Anxiety. Personality Disorder Found in Fatal Attraction - Personality Disorder Found in Fatal Attraction Research Papers look at a movie about a married man who has an affair with a woman that has this disorder, and the events that follow when he tries to end it. Personality Disorder Narcissism - Personality Disorder Narcissism research papers discuss identifying characteristics of the narcissism personality disorder. Borderline Personality Disorder - Borderline Personality Disorder research papers discuss the symptoms of borderline personality disorder and are custom written from Paper Masters. Psychological Disorders - Psychological Disorders research papers examine the main types including anxiety, somatoform, dissociative, mood, schizophrenic and personality disorders. Antisocial Personality Disorder - Antisocial Personality Disorder Research Papers deal with the diagnosing the disorder and the difficulty the DSM-IV has had in pinning down an exact definition. Borderline Personality Disorder - Borderline Personality Disorder Research Papers discuss the damages that it causes to body. Dissociative Disorders - People with multiple personality disorder develop two or more distinct personalities with distinct memories, characteristics and relationships. Depersonalization Disorder - A personality disorder, according to the book Abnormal Psychology by Dr. Ronald J. Comer, is “an inflexible pattern of inner experience and outward behaviors." Abnormal Behavior - Personality disorders are a form of mental illness characterized by particular patterns of behavior and thought processes. Pathological Narcissism - Pathological Narcissism also referred to as narcissism personality disorder, is one of the more common disorders that affect people; it affects individuals from all walks of life. Mental Health Disorders - Research papers discuss mental health disorders and look into the common types of disorders such as anxiety disorders, mood disorders, eating disorders, personality disorders, OCD, and PTSD. DSM-IV - DSM-IV research papers examine the manual for diagnosing mental disorders. Personality Diagnostics - Personality Diagnostics Research Papers answer the questions that should present a comprehensive analysis, synthesis, and evaluation of what you have learned. Mood Disorders - Mood Disorders research papers discuss the psychological problems of depression and dysfunctional mood patterns. Psychodynamic Therapy - Psychodynamic therapy is similar to traditional psychoanalysis, in that a therapist will work with a patient in order to explore the patient’s psyche in an attempt to understand and treat psychological problems. Bipolar Syndrome research papers examine the components of bipolar syndrome. Treating Bipolar Disorder research papers show that many treatment models are available for the psychiatric illness. Paper Masters writes custom research papers on Psychiatric Illness and discuss how mental disorders manifest in a person's inability to function normally.